They have achieved status as premier wine producers, as demonstrated through the playful Judgement of Paris spinoff, the "Judgement of Princeton" which was held in Princeton, New Jersey in the summer of 2012. New Jersey wineries are also receiving much positive press lately: The New York Times came out with two articles this past summer about the rise of the NJ winery. And NPR also did a special on NJ wine, too. The awards New Jersey wineries receive are diverse, from state, to regional, to national, to international levels. Make the trip to New Jersey's Top Attractions. You'll discover a plethora of activites, historic sites, beaches, and wildlife at your fingertips. Plan your trip to coincide with any of the many events focusing on or including New Jersey wine tasting. You can sample delicious local wine through a number of means, like ordering online, or by visiting a nearby winery, or participating in a wine tasting party, or wine festival. Wine tasting in New Jersey occurs throughout the year. For wine tasting New Jersey offers several choices. Some of these events take place at a local winery. Wine tasting in NJ can also occur as part of organized events. Wine Tasting and Appetizers, Phillipsburg (February) featuring wines European style blended wines from Villa Milagro Vineyards. Yet, NJ wine tasting is not the only means of acquainting yourself with wine. It goes beyond local tastings. Go beyond a local NJ tasting wine event and consider getting in your vehicle and following along the various wine trails. For the easiest way to navigate the growing wine country of New Jersey - visit the GARDEN STATE WINE GROWERS ASSOCIATION for maps, details, and events! Attending local wine events is an excellent way to discover the best in New Jersey wines. From wine tastings to Wine Festivals, it is easy to find which wine is for you. 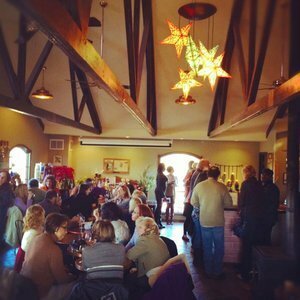 New Jersey wineries are open for visits. They also provide tours and special events. Check out our online events calendar for up to date information on dates, musical events, festivals, and tours at the winery!